With a retina HD display, the iPhone 7 which boasts a 4.7 screen with 1,334 x 750 pixels resolution is brighter than ever before, giving you an appealing user experience. With a 12mp camera and a handy waterproof design, the smartphone is perfect for holidays and active hobbies. With an option of a huge 256 storage model, you can fill the phone with the latest apps. An improved battery life and dual speakers offer a spectacular sound experience for music fans. 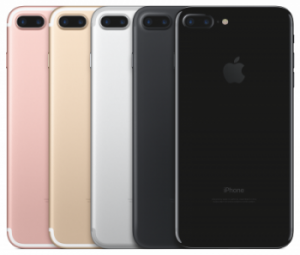 Get the iPhone 7 with NO Credit Check NOW!